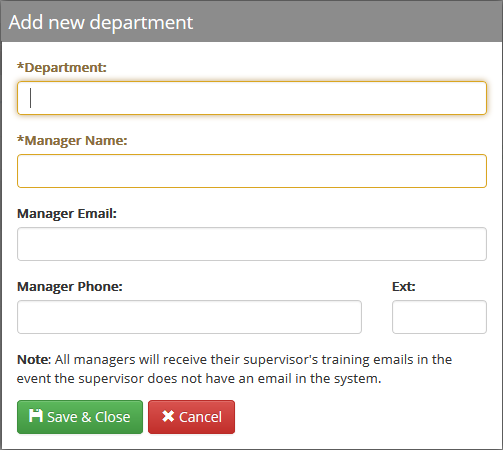 Departments and supervisors must be set up before employees can be added individually. Departments, supervisors, and employees can be added simultaneously through the import process. Departments must be set up before adding supervisors to the system. Existing departments can be edited by clicking on the Department Name in the table. Archive unused departments by placing a check in the box next to the desired department name(s) and clicking the Archive button in the upper-right. Supervisors must be set up before adding employees to the system. 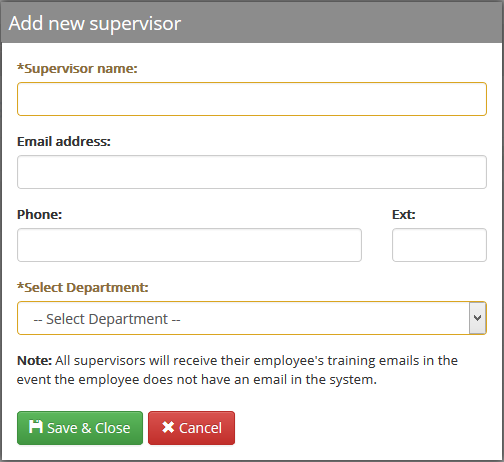 Existing supervisors can be edited by clicking on the Supervisor Name in the table. Archive unused supervisors by placing a check in the box next to the desired supervisor name(s) and clicking the Archive button in the upper-right.